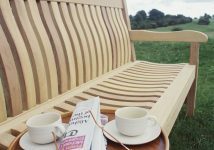 The lazy swell of a tranquil ocean… This was the soothing image that prompted the creation of Woodcraft UK’s Waveform range. 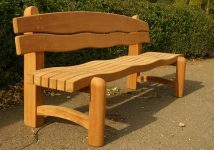 Designed and developed in-house, The Waveform bench is exclusive to Woodcraft UK, and its distinctive and relaxing nautical influence has made it a firm favourite, even with customers located far inland. 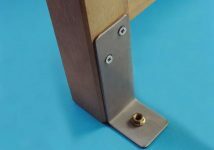 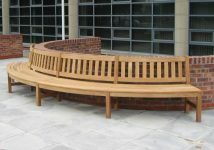 The Waveform seat is available with standard legs for direct standing, or with extra long legs to allow for concreting into position. 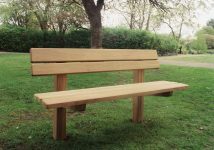 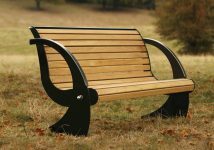 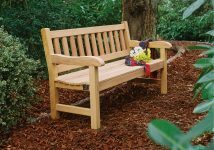 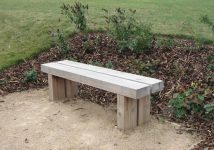 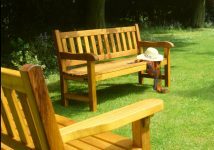 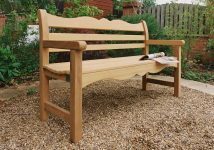 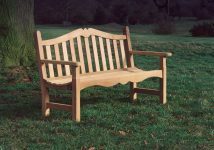 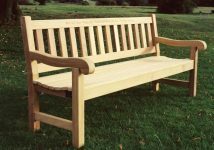 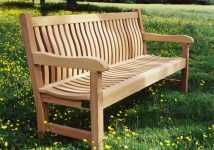 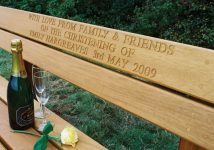 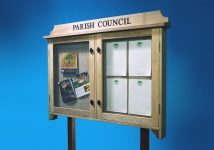 It can be engraved with you personal message or inscription by Woodcraft UK to create your perfect memorial bench or commemorate seat. 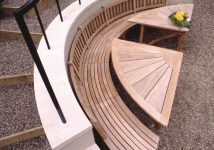 A life on the ocean wave may not be to everyone’s taste, but Waveform’s distinctly nautical design has proved to have a widespread appeal. 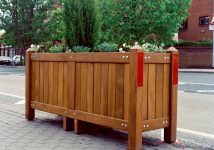 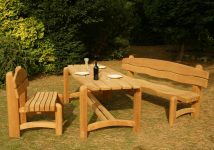 An enduring appeal too, one could say, for hidden bolts hold the Waveform’s garden seat firmly in place, giving an unobtrusive sturdiness to the craftsman-built construction. 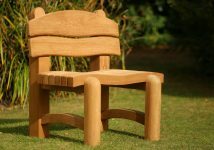 Comfortable, practical and durable, the Waveform outdoor chair is a classic creation and an eye-catching enhancement to any garden. 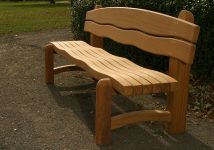 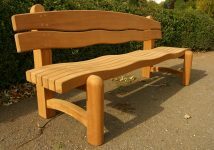 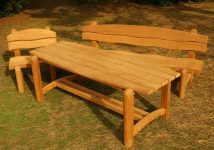 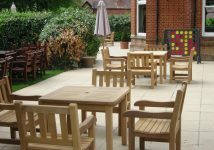 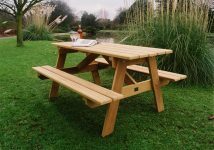 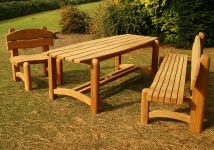 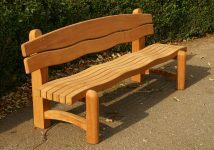 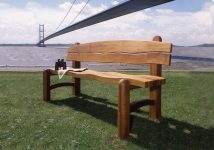 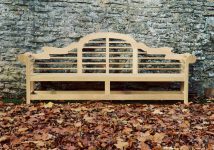 The Waveform wooden outdoor bench and chair are perfect pieces, which can be used as picnic seats, hardwood commemorative seats, memorial benches, wooden park benches, seating for viewing areas such as lakeside seating, coastal and riverside benches. 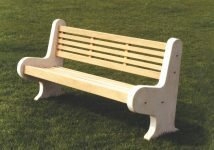 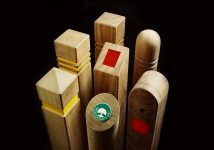 Standard seat lengths: 32in (82cm), 6ft (1.80m), 7ft 2inches (2.20m).